The world of online slots is a fast-developing and ever-changing one. Knowing which slot machines are available and which ones you should play for the best chance of winning can be quite a tricky prospect. The most popular slot games are often ones which surprise you. They might have the highest payouts, the best bonus features or they might just simply be so playable that you can’t help yourself but love the game. These games will stand the test of time and remain fan favourites for many years to come. Here we look at the most popular slot games of 2018 and tell you which ones we recommend for all slot machine enthusiasts. Some of them you might have played or even be quite familiar with, whereas others are brand new slots for 2018. We’ll count you down from number 10. Not all popular slot games look like slot games. Sometimes there is a theme which can make them out of the ordinary. 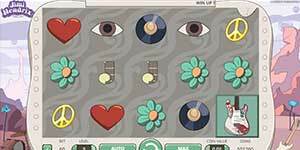 With Sugar Pop 2: Double Dipped you will see something very different for a slot machine. If you have ever played the popular video game Candy Crush Saga then this game will look quite familiar to you. 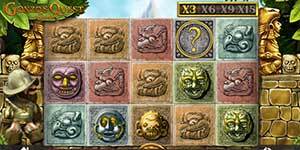 It is an incredibly fun slot game that combines the fun of video games with the excitement of slots. The symbols, which are all candy, drop down as in the game and any combination of three or more together gives you a win. Winning combinations vanish and new symbols drop down in their place. This means that it is possible to win several times on each spin. You can advance through different levels of the game and there are new candies with exciting features which are revealed with each new level, making bigger wins possible. 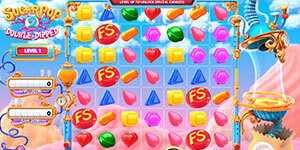 Four or more FS candies next to each other triggers the free spins bonus round. During the free spins round, it is possible to gain extra spins if you land more FS candy combinations. Themes of online slot machines are constantly changing. There have been quite a few based on Ancient Egypt and Roman times and even the Far East has had more than its fair share of slot machine games. Now it seems that Northern Europe is the top place to be and Northern Sky lets you go on a quest to see the Northern Lights above the Arctic Circle. With Northern Sky if you land a win, the combination stays in place and the rest of the reels respin. This allows you to expand on an exist win. The most that can be won in any one spin is 3,111 x your stake. There is an exciting free spins bonus round which can be gained in two different ways. Three or more scatter symbols will open the bonus round automatically. The other way is by respins. To the left of the screen is a bonus meter. If you have a scatter symbol visible when you land a win a part of the meter will light up. If you manage three independent scatters on the screen during respins the bonus meter will be full and the bonus round will be activated. Staying in Europe we have the Viking themed slot machine Thunderstuck II. 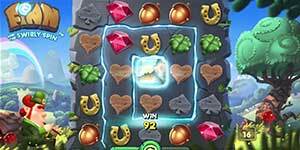 This sequel to the highly acclaimed Thunderstruck slot machine works well as a stand-alone game and you don’t need to have played the original to understand this top slot. Viking gods cover the reels and the main symbol to look out for is Thor’s Hammer. Three of these will trigger a bonus round in the Great Hall of Spins. There are four different levels of bonus and the more times you trigger the bonus feature in one session, the higher up you will advance in these levels. The highest bonus level is the Thor Bonus which is triggered the fifteenth time you land three hammers and promises huge payouts. 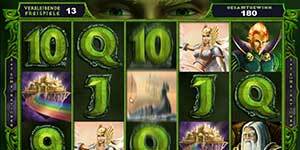 Many players love a complicated multi-reel game with all manner of top bonus features and these are without doubt the most played slot machines you will find at most online casinos. Other people like to keep it simple and every once in a while, a slot game which resembles the classic one-armed bandits of days gone by will emerge and capture players’ imaginations. Stunning Hot is exactly this kind of game. If you’ve ever played Sizzling Hot you might have an idea of what to expect here. It’s a five reel, five payline machine and has some of the classic fruit machine symbols of cherries and lemons. It also has the lucky red 7s. This is where the game becomes interesting – five of these on an active payline and you will win a massive 1000x your stake. There is no bonus round on Stunning Hot, but the potentially massive wins more than make up for that. Some of the best and most popular slot games in recent years have been based on rock musicians. We’ve seen Motorhead, Guns ‘n’ Roses and even Megadeth immortalised in online reel-based fun. Now it’s the turn of legendary guitarist Jimi Hendrix. The soundtrack to this slot machine is exceptional and if you’re a fan of the works of Hendrix you’ll want to turn it up. The game itself is incredibly exciting. There is a bonus round activated by three Jimis with guitars. This symbol appears on the third, fourth and fifth reels and will award one of four different bonuses. There is also the red guitar respin feature. Four or more red guitars anywhere on the reels trigger this. The red guitars stay in their position and the reels spin again. If another red guitar appears you will receive another respin. This continues until no new red guitars appear and you then receive your winnings for the red guitar combinations that are on the screen. It’s possible to fill all five reels with red guitars for a mega payout. For those who like their slot machines based on the top blockbuster movies, this is definitely the best one for you. If you also like slots to be a little different than usual, then look no further. 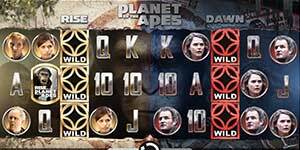 At first glance Planet of the Apes looks like it’s a10-reel behemoth, but it is in fact two games at once. The five reels on the left are called Rise and the five to the right are called Dawn. Both games are independent of each other and you can win on either on each spin. You can unlock a bonus round from either game by landing three or more scatter symbols for free spins. They call this machine the “millionaire maker” and it’s easy to see why Mega Moolah is one of the most popular slot games among progressive jackpot enthusiasts. Progressive jackpot slots are best known for their occasionally massive payouts, but this machine has consistently massive jackpots. The average payout for the largest jackpot is $3.5 million and it is paid out roughly every nine weeks. The largest recorded payout on Mega Moolah was to a British player who won just over $13 million. 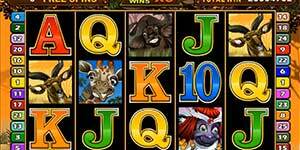 The safari theme of this slot machine is quite enjoyable and there is a bonus round of free spins triggered by scatter symbols. The three different progressive jackpots are paid out at random and you will be presented with a wheel of fortune during normal game play to be in with a chance of winning one of them. This game takes online slot machines to a different level. It’s full of leprechauns and pots of gold and is accompanied with Irish-sounding music. This slot machine doesn’t have reels as such and the symbols are displayed in a kind of square swirl. Three or more of the same symbol next to each in a row either horizontally or vertically award a win. These characters then disappear, and the remaining ones fill their place. You have the chance to win several times with one spin. If you clear the whole screen you unlock the door in the middle of the screen and the bonus round is awarded. This gives you free spins with potentially massive payouts. 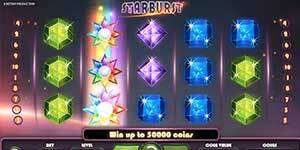 This has long been one of the most popular slot games and no matter what other developers do to try and mimic it or create a new and improved Starburst copy, it remains among the best. This slot machine is brilliant in its simplicity and design. It has paylines that run from right to left as well as left to right and the genius is in the expanding wilds. These can appear on the second, third or fourth reels and are in the form of stars. If one appears on a particular reel it expands and fills all three positions. You are paid for any wins that were formed and then all other reels respin, giving you the chance to win again. If in the meantime a wild appears on one of the other reels there will be a further respin. It is possible to have the middle tree reels completely full of wilds and this more than makes up for the lack of a bonus round. Gonzo’ Quest is quite simply the best among online slot machines. The layout of the game was seen as extremely innovative when it was launched, and it still manages to capture new players. This game doesn’t have traditional reels, but rather stone blocks which drop down from above. Wins are formed in the same way as many other slot machines, but there is something different with Gonzo’s Quest – Cascading wins. Cascading wins allows the player to win more than once per spin. When you form a winning combination, the blocks explode and the remaining ones drop down. New blocks also drop from the top of the screen. This can lead to more wins. The even better news is that each time you win the multiplier increases, up to a maximum of x5. 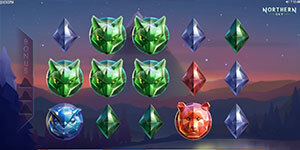 There is a bonus round of 10 free spins awarded for three scatter symbols on an active winline. This plays in exactly the same way as the main game, except the multipliers are bigger and all first wins are x3.